Looking for personal space or your sanctuary? 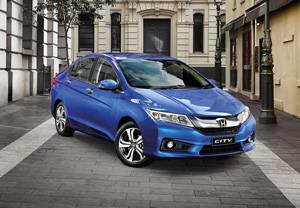 The Honda City lets you reclaim yours. Step inside and you’ll find there’s room for five adults, a clever multi-angle reversing camera as standard, and all the connectivity you need to feel at home. With its 5-star ANCAP safety rating, the highest possible assessment, you’re safe in the Honda City. So, what are you waiting for? Escape the urban madness in the Honda City. Enquire now with Auto Synergy Honda in Mildura through our Service department online.